Hey Friends. Thank you to all who supported the Manuel family. They are currently in China and are enjoying loving on their sweet Henry! This might be a little confusing, but there is another Manuel family headed out next week to bring home their daughter. I met Katie years ago through social media. We both had sons with Down Syndrome close to the same age. Then, we ended up going through the adoption process close to the same time. 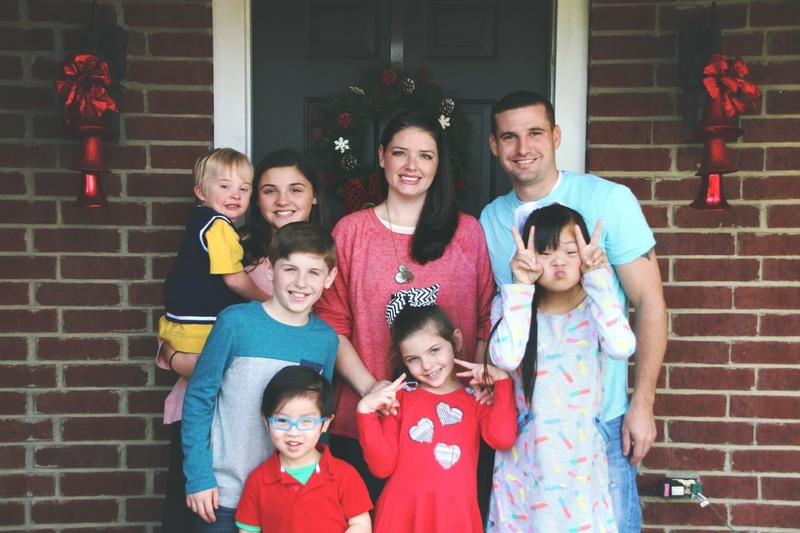 Her son, Eli, and my daughter, Hai-Leigh, just happened to be from the SAME CITY in China! Because of her, I was able to reach out to the foster homes that cared for my daughter and ended up with pictures of her from birth to when we brought her home. What a blessing! "Hi there! We are Michael and Katie Manuel and we are the proud parents to 5 (about to be 6) amazing children. Feeling like our family was complete, but still desiring to make a difference in the lives of orphans, our family decided to host a special 12 yr old girl over the Christmas holidays. We saw her picture and knew she was special. Her name is Hannah. She is 12 years old and rocks an extra chromosome just like our son, Carter! We had a plan to share her story daily so that the world could see how amazing she is, and she could find a forever family during her time in the U.S. Little did we know, she would steal our hearts. From day one, both our family and this sweet girl made a life changing connection with each other. 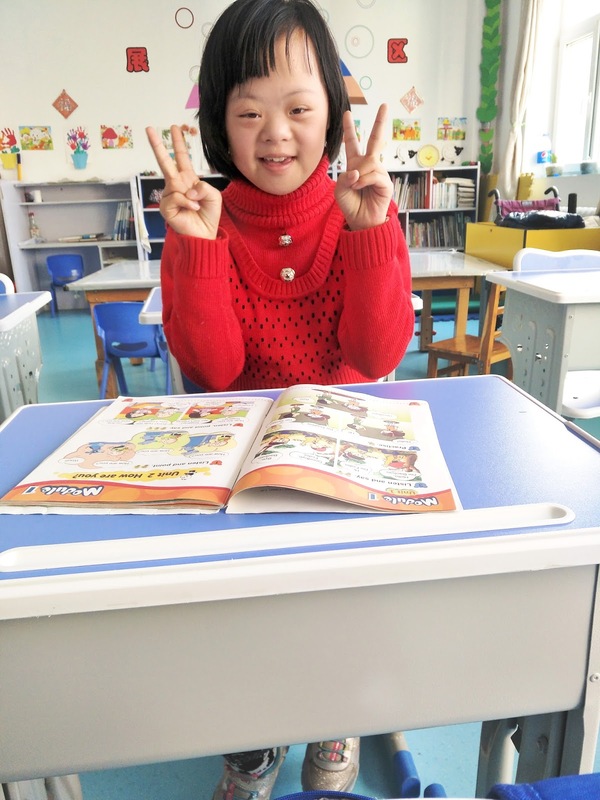 We also found out that she would be the very first child with Down syndrome to ever be adopted from her orphanage! We are so excited that a life in America is so bright and beautiful and full of opportunity for this sweet girl. We are trusting the Lord for the provision to bring our daughter back home as quickly as possible. We will actually be traveling very soon! Funding another adoption was not the game plan for our family, but we know the Lord will provide through overtime, fundraising, and grants. We are beyond thankful for the opportunity to adopt again, and have our friends, family, and community rally around us with support and love. Thank you from the bottom of our hearts!" Y'all, isn't this awesome?! I am so excited for them and am eager to help them out! I have updated the inventory in the shop to what I have in stock. The only necklace that will be a PREORDER is the "LOVE CROSSES OCEANS" China necklace. It only seemed fitting to add it even though it's not in stock. Between now and August 21st, half of the proceeds from all orders will go to this family to help them bring home sweet Hannah. So head on over to the shop and support this family! Thank you in advance for your purchase with a purpose! !